Below is a collection of suggested STEM resources for students, parents and educators. Amazon STEM club is a monthly program that delivers handpicked Science, Technology, Engineering and Math toys. Code.org® is a non-profit dedicated to expanding access to computer science. A free curriculum to introduce students in grades K-8 to computer science using the Scratch programming platform. The curriculum is available in English, Spanish, Chinese, and more. An online community where students, educators, and parents can find resources and activities that relate to real-world science and design challenges. Curiosity Machine walks students through the steps of problem-solving and provides feedback from mentors on students’ work. Girlstart’s mission is to increase girls’ interest and engagement in STEM. Girlstart provides a year-round, intensive suite of STEM education programs for K-12 girls. Girlstart’s core programs foster STEM skills development, an understanding of the importance of STEM as a way to solve the world’s major problems, as well as an interest in STEM electives, majors, and careers. Summer tech camp for ages 7-18. Become a coder, game developer, engineer, or designer. Mission: to create life-changing tech experiences that embolden students to shape the future. National summer STEM educator. STEM Education Resource website, where you can discover the answers to important questions on science, technology, engineering, and mathematics (STEM) education and careers. STEM Center USA inspires the next generation of STEM leaders by developing a passion for STEM careers at a young age and maintaining interest throughout middle and high school. STEM Jobs connects today’s students with the in-demand careers of tomorrow in science, technology, engineering and math. 3,000 hands-on exhibits from the world’s leading scientific and engineering societies, universities, government agencies, high-tech corporations and STEM organizations. The Institute of Museum and Library Services (IMLS), a federal agency that supports the nation’s museums and libraries, worked with the Exploratorium (a San Francisco-based museum) and the U.S. Department of Education to develop and implement a six-week science, technology, engineering and mathematics (STEM)-Rich Maker program.Activities include science journals, circuit boards, scribbling machines, and nature bots. is a series of easy-to-run activities that can be used and modified for all ages. Explore science with ZOOMsci, engineering with ZOOMbuild, and the environment with ZOOMgreen. Brain Game Toys LLC. offers links to other third party websites that may be of interest to our website visitors. The links provided in our website are provided solely for your convenience and may assist you in locating other useful information on the Internet. When you click on these links you will leave the Brain Game Toys website and will be redirected to another site. 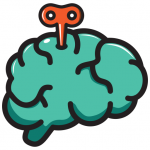 These sites are not under the control of Brain Game Toys. Brain Game Toys is not responsible for the content of linked third party websites. We are not an agent for these third parties nor do we endorse or guarantee their products. We make no representation or warranty regarding the accuracy of the information contained in the linked sites. We suggest that you always verify the information obtained from linked websites before acting upon this information. Also, please be aware that the security and privacy policies on these sites may be different than Brain Game Toys’ policies, so please read third party privacy and security policies closely. If you have any questions or concerns about the products and services offered on linked third party websites, please contact the third party directly.